Many experts in the learning field believe empathy is an essential first step in instructional design. I agree. 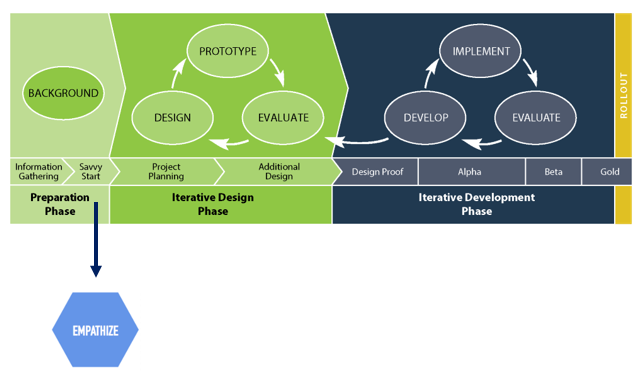 It’s part of Design Thinking, which mirrors the SAM process at Allen Interactions. 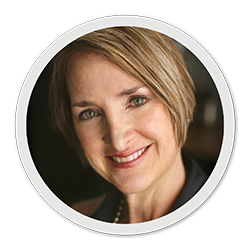 During our Savvy Start meetings, we identify the learning audience and begin to get to know them better. It’s here where I introduce the concept of empathy and facilitate activities that help stakeholders walk in the learners’ shoes. Recently, at an employee onboarding design session, I assumed the role of a new hire and began to demonstrate the raw emotion around my first day at work. “I’m really scared. What if they don’t like me? What is my job, anyway? I’m not even sure I want to be here.” I even managed to whimper a bit. Acting. The room was quiet as everyone connected to the feelings related to the first-day jitters. I then followed with, “You’ve all been new hires, right? After all, you’re sitting here in this room. Now try to remember what that felt like.” And I didn’t say a word. For what felt like a long time. I could see the participants in the room truly go to their “I’m a new hire” place. Some became visibly twitchy, and some even became emotional. That’s the place where great design starts – where managers, owners, stakeholders, and designers can see the world through the new hires’ eyes, to feel and experience things the way they do. When we finished the activity, we had five learner personas – the learner starting on Day 1 and progressing at each milestone throughout Year 1. In one large group, we literally walked through the year in five big learner steps – starting as a fresh face on our first day and ending as a more seasoned employee completing our first year at the company. Hopefully you can see the importance of empathy, and how using it can save your course designs. 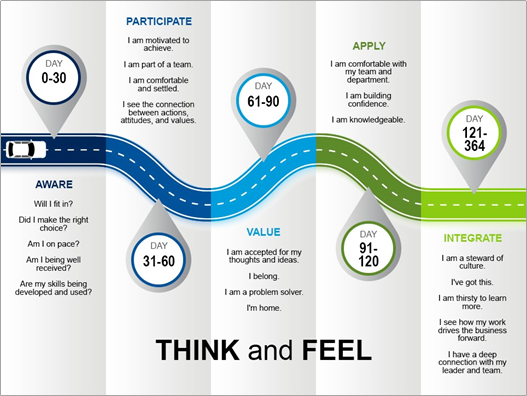 There are many variations of empathy maps, so it’s important to find one that you like and works for you. 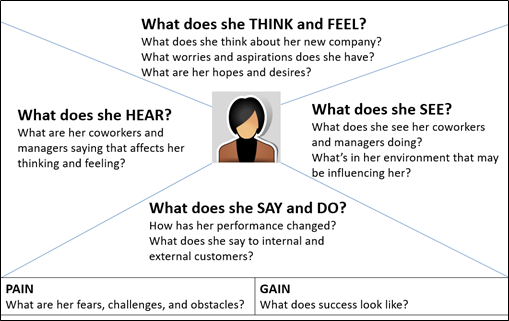 Once you begin using it consistently, empathy mapping will become an essential first step in your instructional design practice.